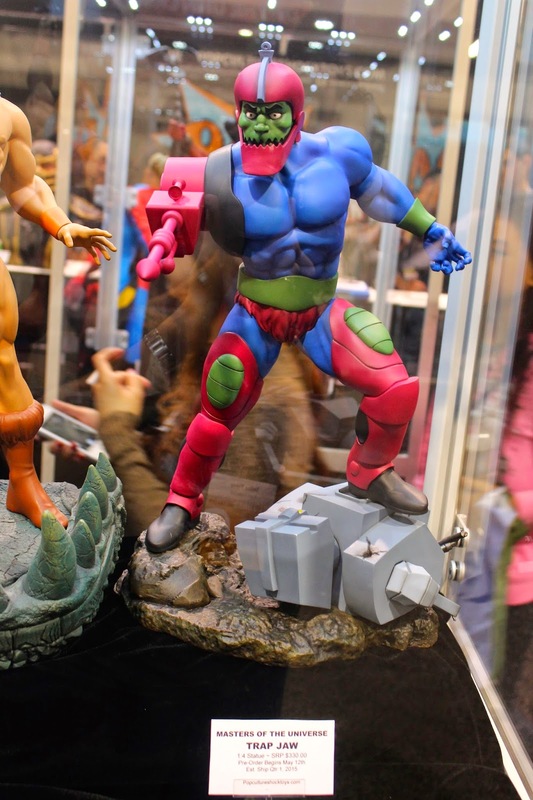 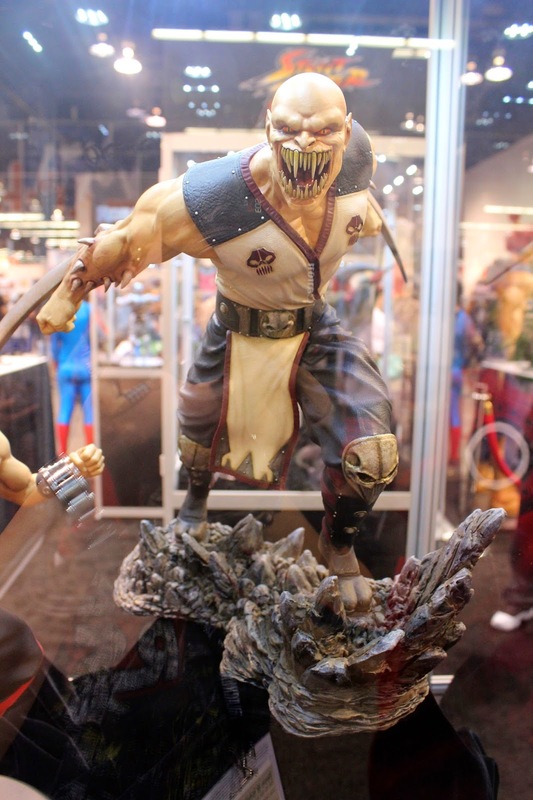 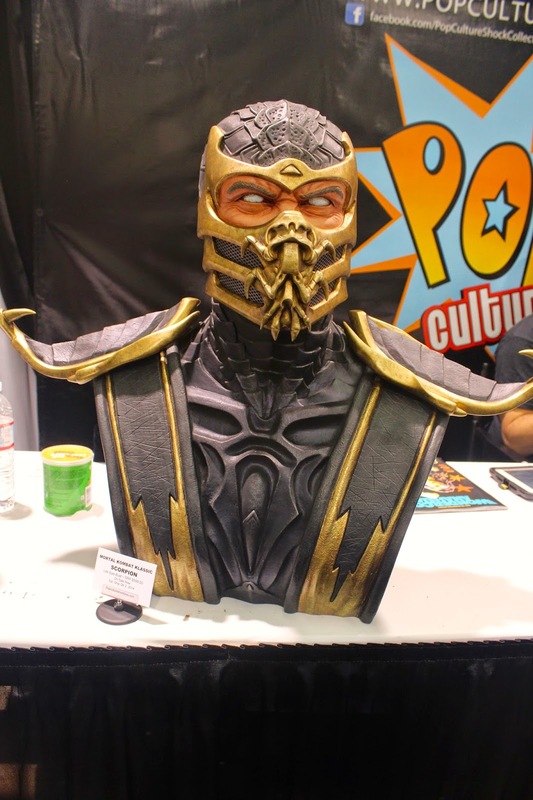 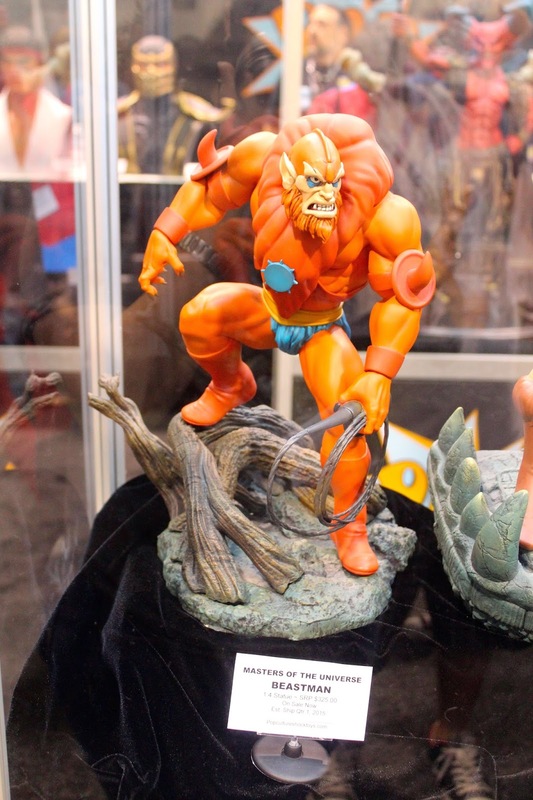 We had the opportunity to visit the Pop Culture Shock Toys booth at Wondercon this year. 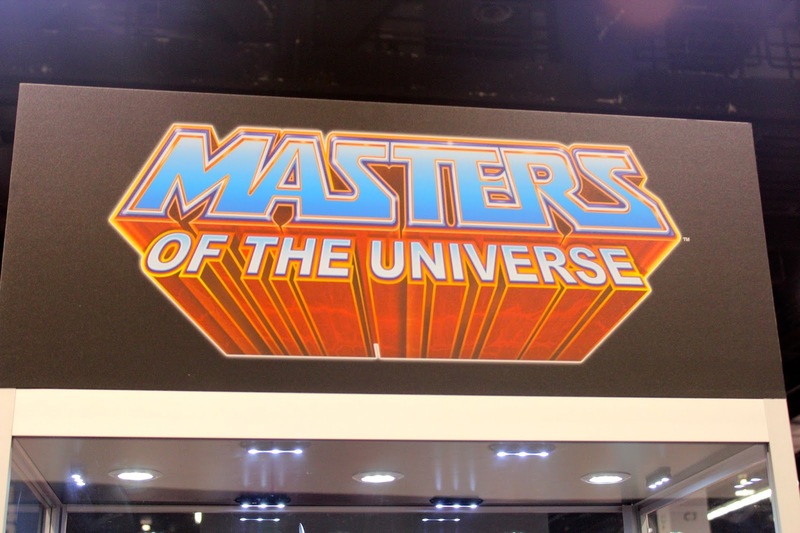 It was great seeing some of the movie, cartoon and gaming characters brought to life with great detail. 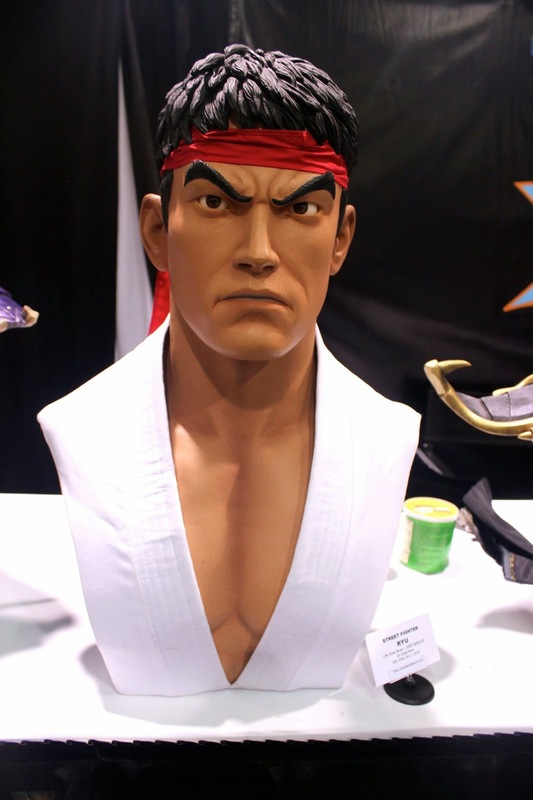 The details on the 1:4 scale statues and and 1:1 scale busts were equally amazing. 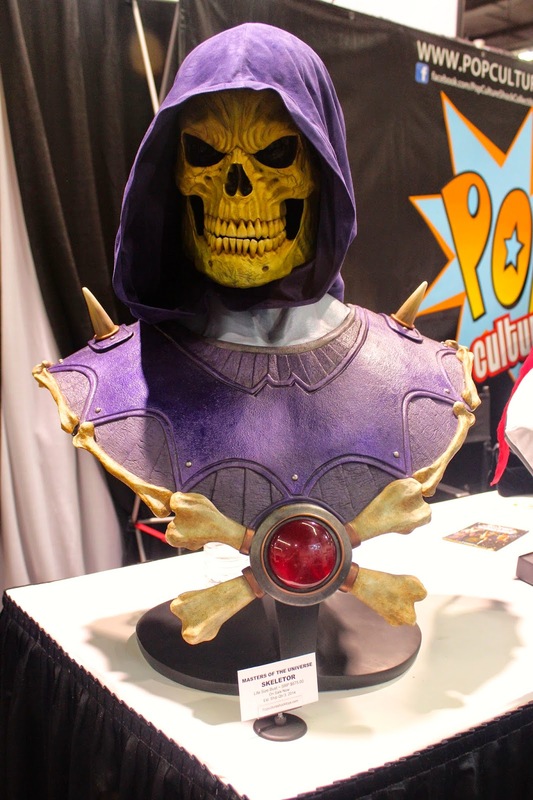 Check out pictures below and see the intricacy of some of the famous characters. 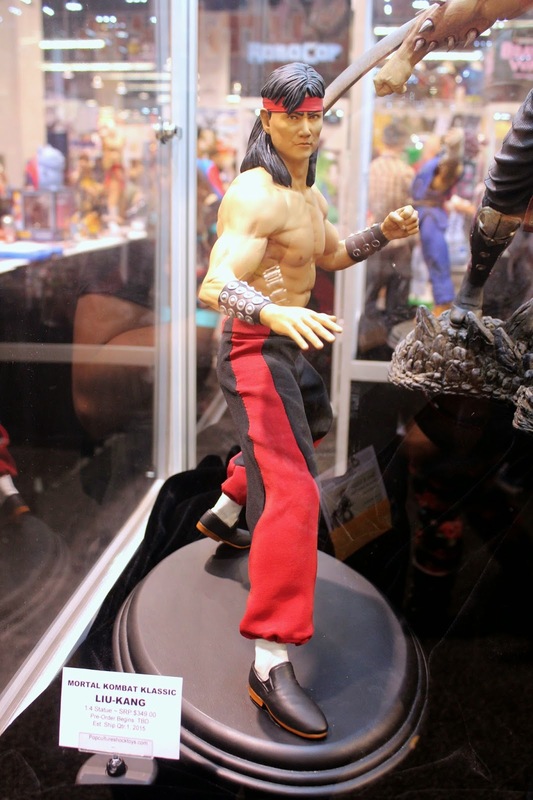 Do you remember the movie Legend? 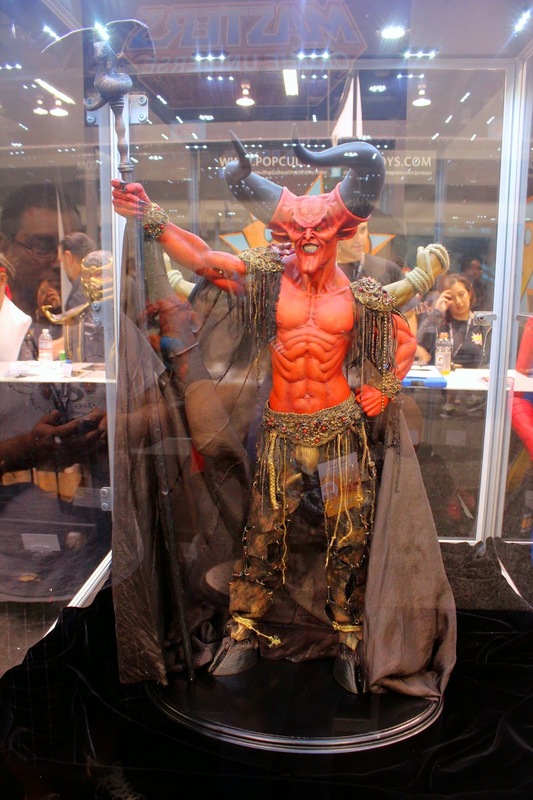 This has to be one of the scariest renditions of the demonic Darkness brought to life. 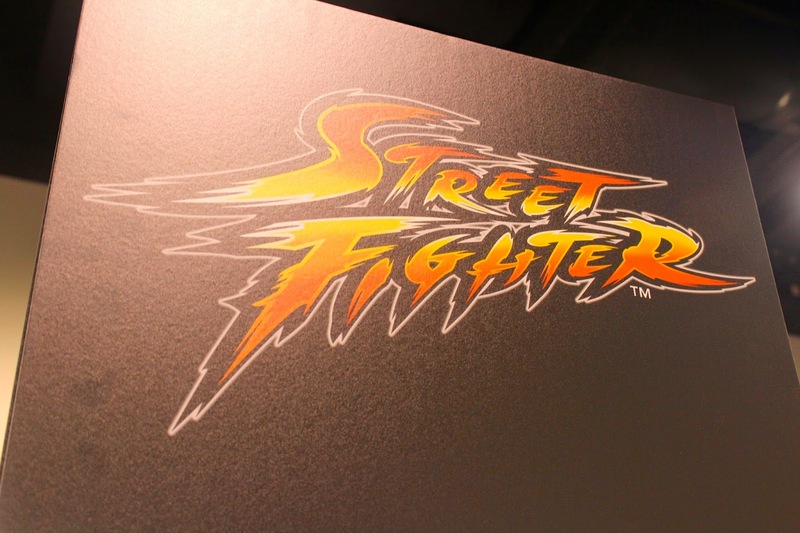 Two fighting games that I loved playing as a kid (and now too) were Street Fighter and Mortal Kombat. 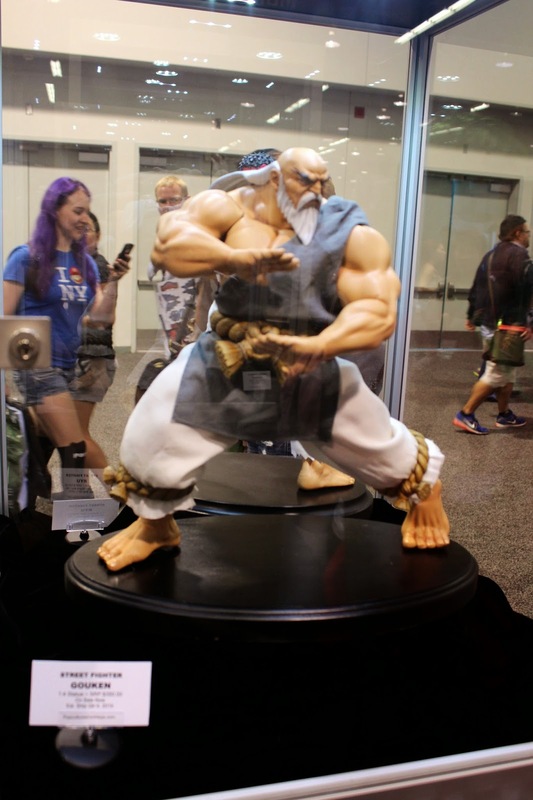 A few characters are shown below in 1:4 scale and 1:1 scale. 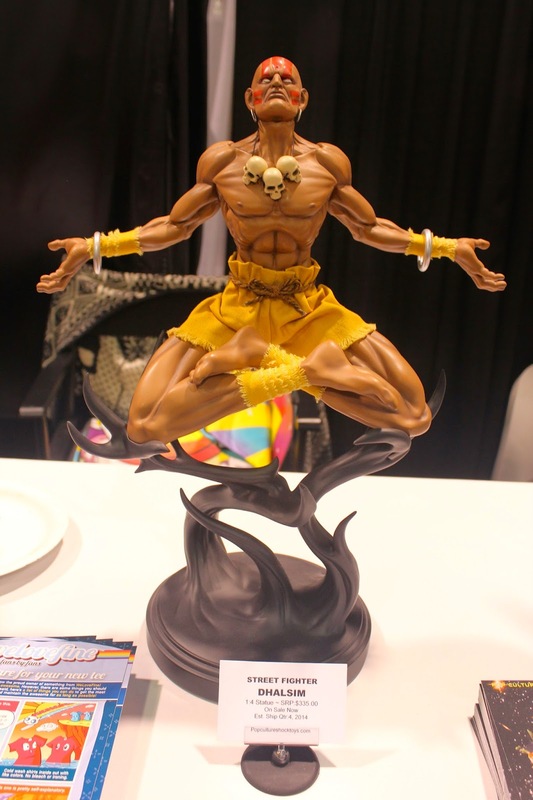 Pop Culture Shock Toys did not just stop with creating amazing 1/4 scale statues and 1/1 scale busts, but would also create a life size Akuma statue! 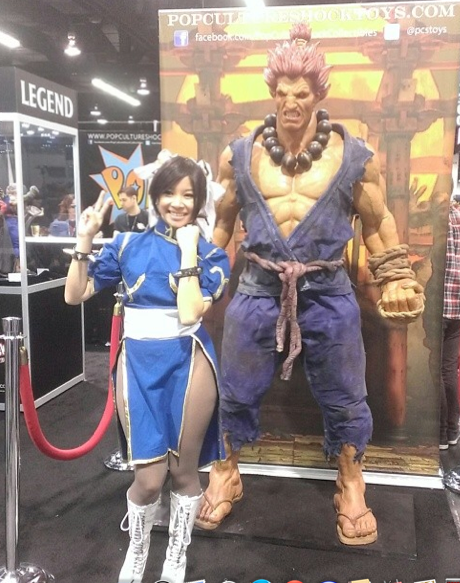 Chun Li even hung out for great photo ops. 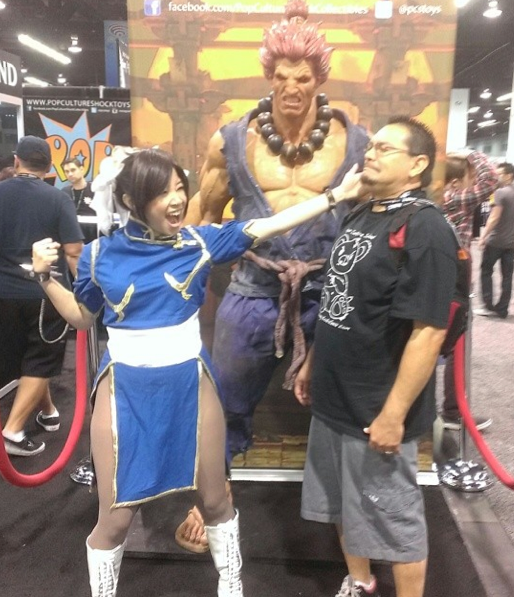 While we decided to join in on a photo op, Chun Li must not have liked the way we were looking at her. 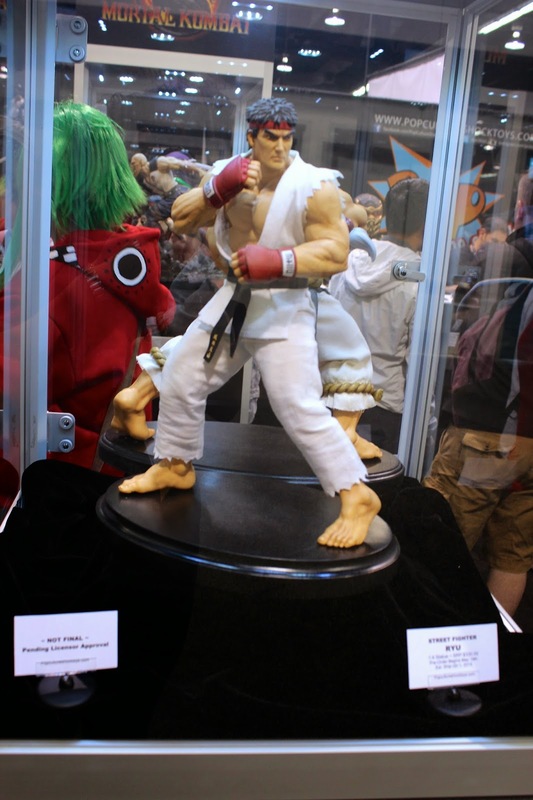 Pop Culture Shock Toys definitely had one of our favorite booths at WonderCon!